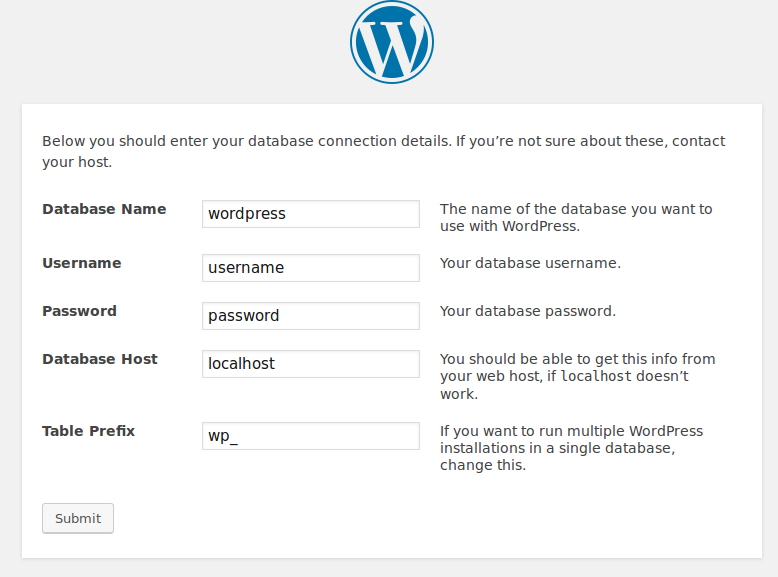 Finally, we have done all the necessary steps in order for us to actually setup WordPress. 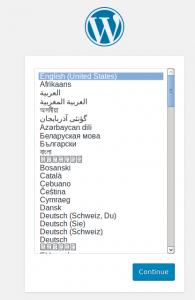 The first page you should see is one with the WordPress logo, and a choice of languages. Choose the language you want, then click on the “continue” button. Next, you should see a page, that says “Before getting started. 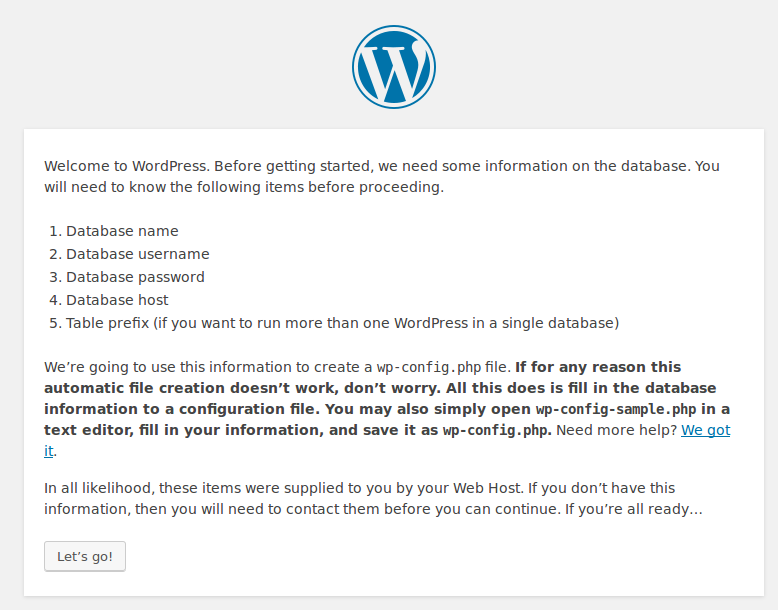 Welcome to WordPress. Before getting started, we need some information on the database. You will need to know the following items before proceeding. Click on the “Let’s go” button. 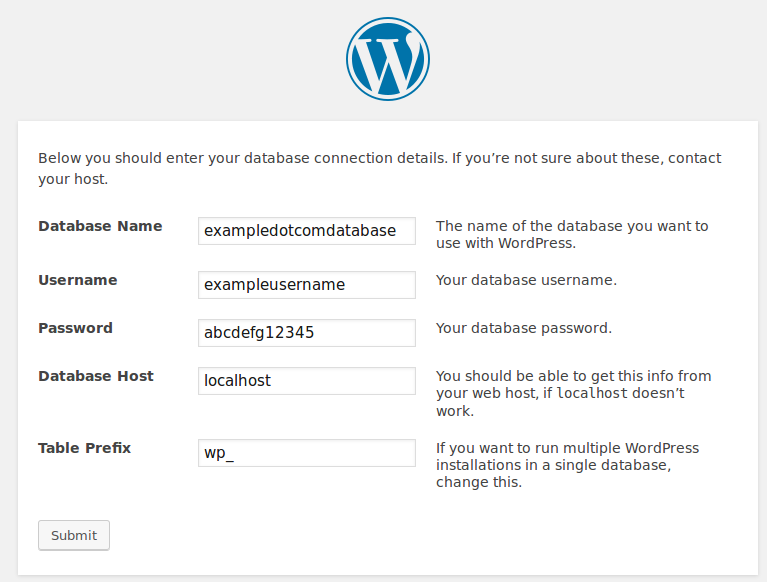 On this page, you will enter your database name, database username and password for that username. Remember that we created all of the database information in step 2 of this article. Below is a screenshot of inputting the database name exampledotcomdatabase, username exampleusername, and password abcdefg12345. Leave all other boxes as they are by default. After you have inserted the database info, click on the “Submit” button. Click on the button that says “Run the install”.